Description: Thank you for looking at my item. 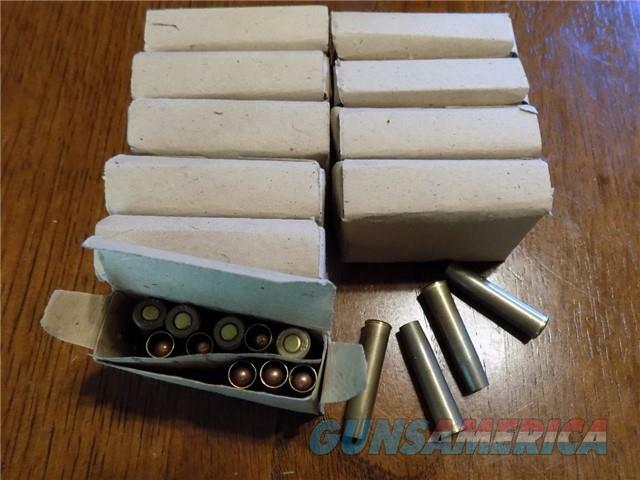 This is for a lot of 14 boxes (140 rds) of Russian military surplus 7.62x38R ammo for the Nagant Revolver. It is the heavier weight bullet (108gr I think). This batch is dated 1988 from a can I just opened and shoots beautifully. Although it is corrosive, it is more accurate and packs more of a charge than the Fiocci or other newer commercial loads. Please contact me if you have any questions. I combine shipping and the shipping cost will be based on weight. If you plan on purchasing multiple lots please contact me for a combined shipping quote.